Magos Systems will display its family of unique radars for critical infrastructure protection, at ISC West 2017. The SR-500 line is ideal for perimeter security of airports, seaports, government facilities, correctional facilities, power sub stations and more. Magos is also showing this year its unique radar control software (MASS Control Software) that enables plug & Play integration with a variety of Video Management Software (Genetec, Avigilon, Milestone, Exacq etc.) and also enables radar target classification using high-end video analytics at the same cost. According to Gadi Bar-Ner, Magos VP Marketing "We are extremely proud of our SR-500 line, which is a unique cost-effective solution for a problem previously dealt with multiple expensive day/night cameras. With no moving parts, our systems require almost no maintenance and operate 24/7, in all weather conditions." Magos SR-500 has a detection range of up to 400m for person and 600m for vehicle or boat and can even detect a drone at up to 100m. It has low power consumption (<3.5W), high range resolution, which increases detection performance in highly cluttered environments, and with 120 degree coverage. Gadi continues "Our radars capabilities, when put together with PTZ cameras in one system, pose an alternative superior in price and performance to any other perimeter detection and protection solution in the market. This is a completely new approach to perimeter security. 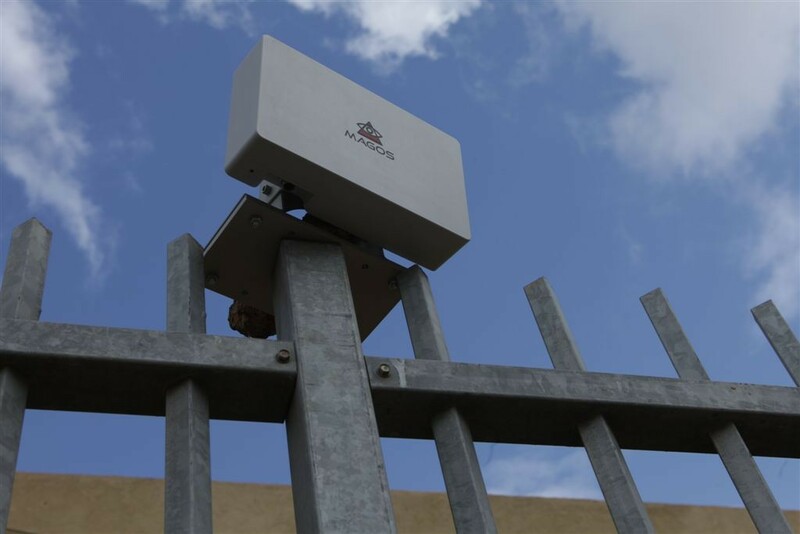 Our radars are suitable for a wide variety of security applications, and are already installed in dozens of facilities in more than 20 countries, ranging from OilGas production sites through US Utility Substations and smart city projects".